New Years to Kwanzaa: Original Stories of Celebration is for Ages 4-8. 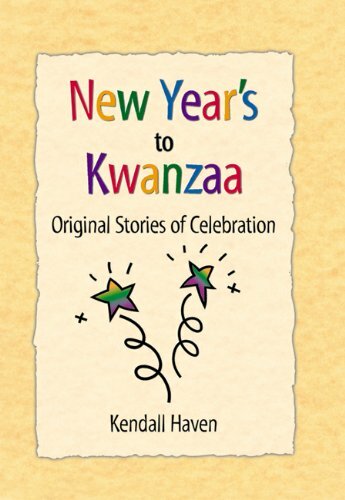 New Years to Kwanzaa: Original Stories of Celebration was written by Kendall Haven. New Years to Kwanzaa: Original Stories of Celebration was published by Fulcrum Publishing. 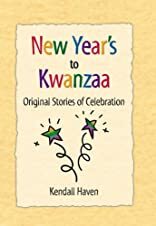 Subjects of New Years to Kwanzaa: Original Stories of Celebration include Children's 9-12, Children's Books/Ages 9-12 Nonfiction, Children: Grades 3-4, Cross-cultural studies, Ethnic groups, Holidays, Holidays & Celebrations - General, Holidays & Celebrations - Kwanzaa, Holidays & Festivals - General, Juvenile Fiction / Holidays & Celebrations / General, Juvenile Nonfiction, and Social life and customs.